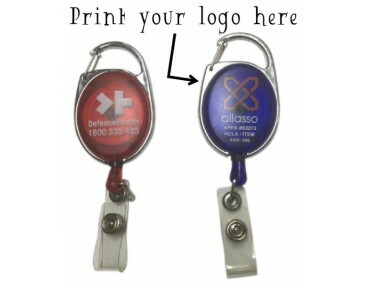 A promotional retractable badge reel with a difference! 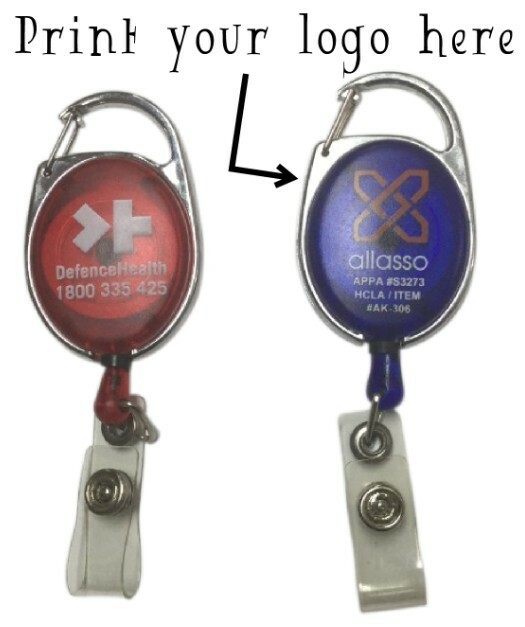 This badge reel unlike others, clips onto your clothing using a carabiner like hook. Not a clip at the back. 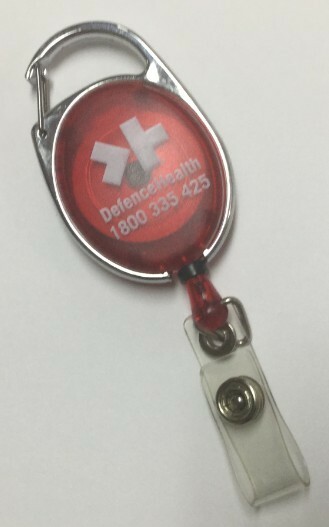 Suitable to hook on to pant belt loop or add a lanyard to the badge reel. You can also hook your keys to the carabiner. Colours Available Includes Translucent Red, Blue, Solid Black or White. This product offers a super fast production time thus suitable for those urgent merchandise enquires! Requires only 3 working days from artwork approval, and we can even shorten it to 24hrs at a surcharge. This product comes with 1 colour 1 side branding as shown on the price listed. All prices are excludes gst, freight and print set up charge. Print Set up is charged at $75+gst per colour. Simply send us your logo in an eps or ai file and we can provide you with artwork mock up.